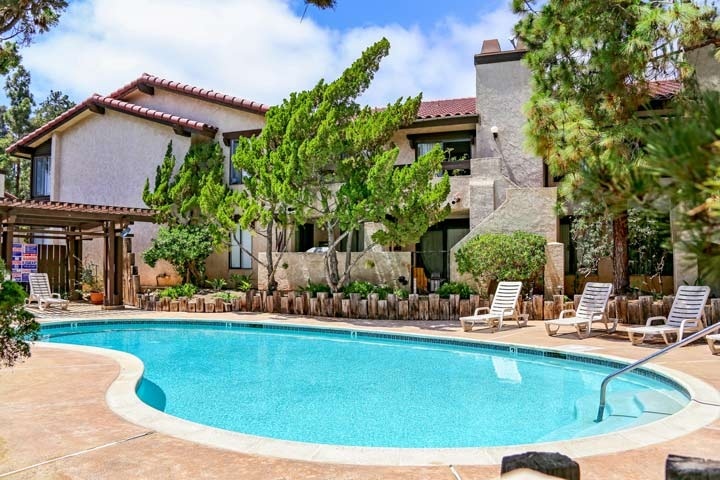 Ruette Le Parc condos are located in the coastal community of Del Mar, California. This is a very private area with mature landscaping located off Del Mar Heights and the 5 freeway. Once inside the community you feel like you are in the middle of the country with tall mature pine trees and thick foliage. The complex features one and two bedroom units that range in size from 800 to 1,167 square feet. 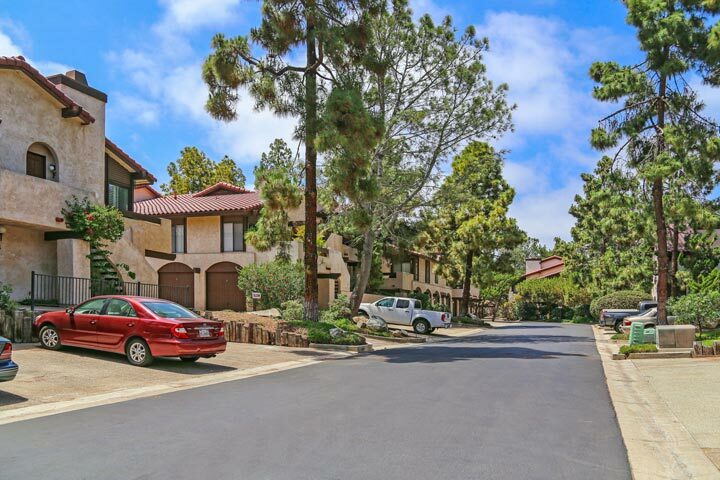 Below area all of the current available Ruette Le Parc condos for sale and for lease in Del Mar. Questions regarding this community and any of the homes listed here? Please contact us at 1-888-990-7111 today. The Ruette Le Parc community is under a homeowners association with monthly dues of $408.00 a month. The dues include use of the 2 community pools and exterior building maintenance. This is a great location near local shopping and restaurants with easy freeway access. The beach is also located within an easy 10 minute drive.